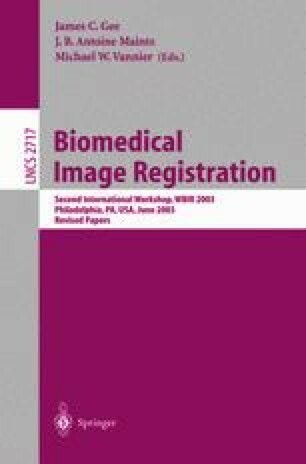 This paper introduces the new concept of narrow-band to image registration. Narrow-banding is a common technique used in the solution of level set approaches to image processing. For our application, the narrow-band describes the shape of an object by using a data structure containing the signed distance values at a small band of neighboring pixels. This compact representation of an object is well suited for performing registration against a standard image as well as against another narrow-band. The novel technique was implemented in the registration framework of the NLM Insight Toolkit (ITK). This implementation illustrates the great advantage of a modular framework structure that allows researchers to concentrate in the interesting aspects of a new algorithm by building on an existing set of predefined components for providing the rest of standard functionalities that are required.